We frequently engage with that which we consciously perceive not to be real, yet fantasy, despite its pervasive presence and strong role in everyday life through its connection to identities, communities, desires, and meanings, has yet to be properly defined and researched. 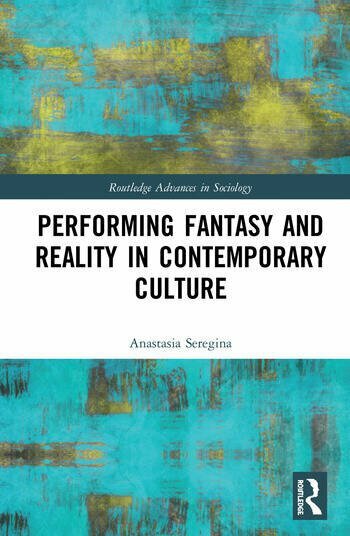 This book examines fantasy from a performance theory perspective. Drawing on multidisciplinary literature, it presents ethnographic and art-based research on live action role-playing games to explore fantasy as a bodily and negotiated phenomenon that involves various kinds of engagement with one’s surroundings. Overall, this book is a study of various forms and roles that fantasy can take on as part of contemporary Western culture. The study suggests that fantasy emerges as a different type of interpretation of normalised performance and reality, and can thus provide individuals with the tools to wield agency in everyday life. The book will appeal to scholars of sociology, cultural and media studies, literature and performance studies. Anastasia Seregina is a Lecturer in Consumer Research at Goldsmiths, University of London. Her work is based in consumer culture research, but is interdisciplinary, encompassing such fields, as consumer research, sociology, anthropology, performance studies, literature studies, art education, and media studies. Anastasia is also a practicing visual artist, with the focus of her artistic work often overlapping with her academic endeavours. As part of her practice, Anastasia is developing various performance-based and art-based research methodologies. In both her artistic and academic work, she explores the role and meaning of consumption in contemporary culture, specifically focusing on topics of fantasy, imagination, and aesthetics.